The Brookings Institute notes that “a surprisingly large share of classic tech jobs are actually quite accessible to workers without a bachelor’s degree”. These “mid-tech” jobs relate to the middle-skill level jobs of the “high-tech” industry. Just to be clear, getting a job in the high-tech industry doesn’t necessarily require a bachelor’s degree in computer science. In fact, Brookings found that out of nearly 1 million workers in a group of computer and math related jobs (like computer network architects, network support specialists, and computer systems analysts), about 350,000 of those employees do not have a bachelor’s degree. Places like the Lakeland-Winter Haven, FL region have nearly 1,200 mid-tech jobs, out of the 3,200 computer and math jobs surveyed by Brookings – that’s 37%. The New York Daily News reports that in 2016, 52% of those employed as Computer Network Architects did not hold a Bachelor’s Degree. Mid-Tech Jobs aren’t classified as “mid-tech”, but they do exist. 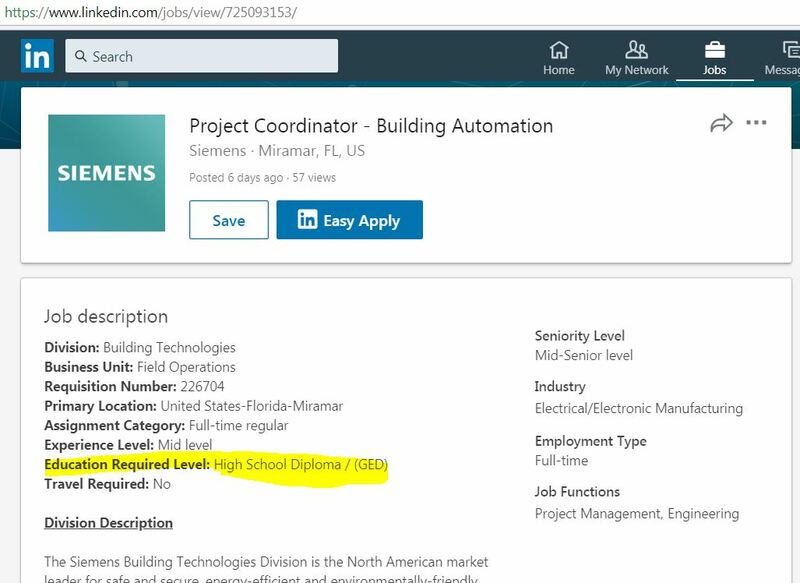 At the more entry level, one “Project Coordinator” role for Siemens, a global conglomerate worth about 96 billion dollars, lists the education requirement at High School Diploma. If Social Advertising Is Not a Hard Sell, What Is It? You and your friends are at a local street fair. There’s food, there are games; people are taking pictures, there’s a bit of music, maybe some art… etc. 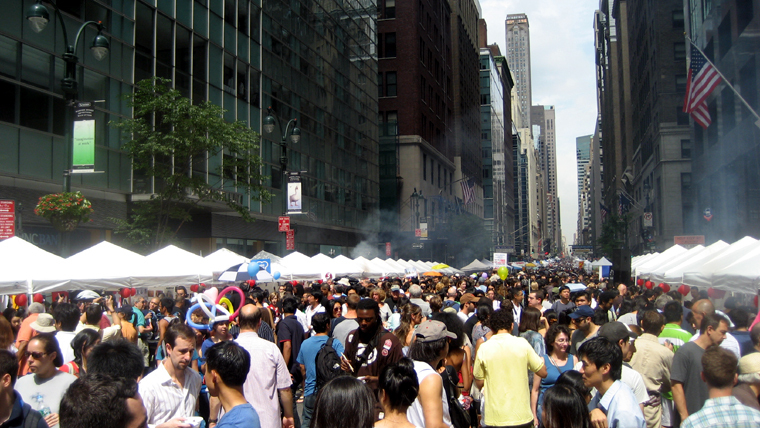 You’ve been to those kinds of street fairs, they’re a great way to spend an afternoon. Cool animations, subtle sound effects, and great voice overs. Think Mojo seems to know their stuff. Check them out. These guys created a market place where folks that have a need for a company video can meet resources who are willing to help. The middle man, of course, take a cut of the action. 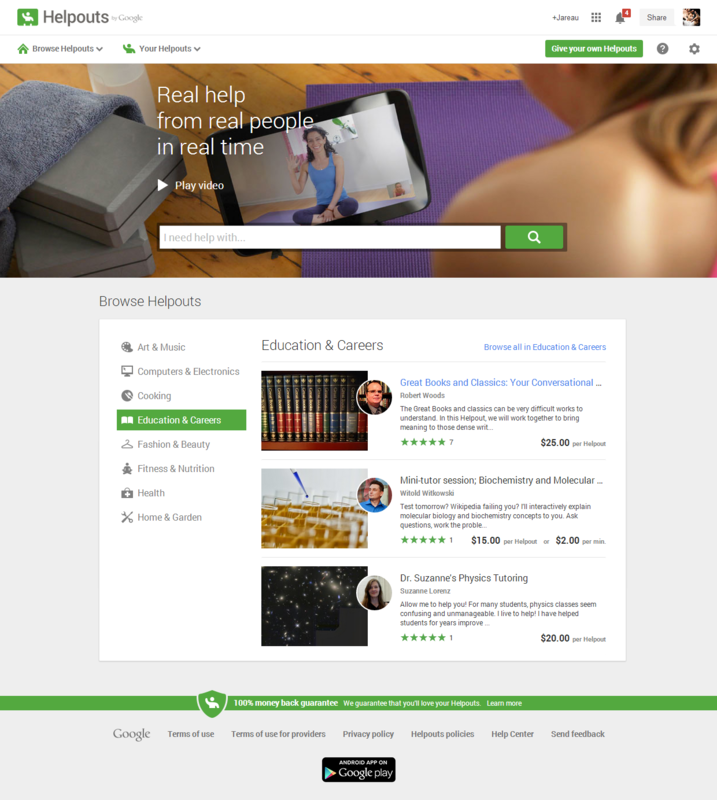 Google Helpouts is a market for live video lessons from subject matter experts vetted by Google, rated and reviewed by previous customers. Think of paying per minute or per session for a video chat with a subject matter expert. Have a plumbing question? Start up a video call using your cell phone with an expert who can see your issue, and guide you through to success.